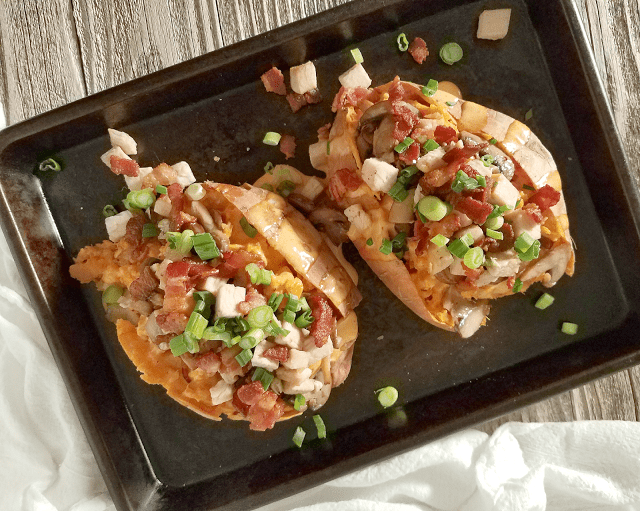 Layers of flavor make these Cajun Turkey Stuffed Sweet Potatoes crazy delicious, yet they’re nutritious, gluten-free, grain-free, dairy-free and Paleo and Whole30 compliant. They also come together in just 30 minutes, making them an easy way to use your leftover turkey! Leftover turkey. It’s one of the best things about Thanksgiving, am I right? After all that effort you put into preparing a huge Thanksgiving feast, you can take it easy the next week feeding your family leftover turkey in the form of quick sandwiches and soup. Heck, I’m sure a reheated replica of your Thanksgiving feast even gets served up in the week following Thanksgiving, and who could blame you? I completely understand the need for easy meals using leftovers of that turkey you worked so hard on, so I have an easy recipe to share with you today: Cajun Turkey Stuffed Sweet Potatoes. They’re nutritious and super satisfying as well as gluten-free, grain-free, dairy-free and easily made Paleo and Whole30 compliant. But even though they’re healthy, they’re not boring. These Cajun Turkey Stuffed Sweet Potatoes have layers of flavor so bold that they’re crazy delicious! Turkey. Let’s not forget about the turkey, which has a lot to offer, as well. Turkey is not just an excellent source of protein, it also contains B vitamins and the minerals selenium and zinc (source). All of that protein will help you feel full and satisfied, aid in regulating your blood sugar levels and give your body the protein it needs. Bacon fat is almost half monounsaturated fat (you know, the fat that you are told is good for you). Another 10 percent is polyunsaturated (another fat that is supposed to be good, or at least neutral). Only 40 percent of the fat in bacon is saturated. (source) Plus, it’s delicious. 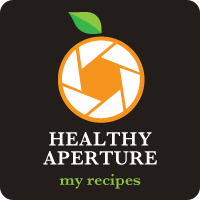 You remember all of those carotenoids in sweet potatoes that your body can turn into vitamin A? Well they’re fat soluble, meaning you need to consume fat with them in order for your body to absorb them (source). So the bacon fat in this recipe serves a purpose. Besides providing lots of amazing flavor, it helps your body absorb the nutrients it needs. These Cajun Turkey Stuffed Sweet Potatoes are packed with nutrients. They’re also gluten-free, grain-free, dairy-free and easily made Paleo and Whole30 compliant, which means that you can feel great about eating them. Did I mention that they’re also easy to make? Oh yes, these Cajun Turkey Stuffed Sweet Potatoes are easy to make, but I’ve shared the tips below to make it even easier for you. If you have whole, cooked sweet potatoes leftover from Thanksgiving, great! They would be perfect for this recipe. If not, you can easily cook whole sweet potatoes in your slow cooker or oven (click the link for whichever method you prefer to be directed to another site for instructions). You can even buy sweet potatoes at a lot of grocery stores that are pre-wrapped and ready to microwave! Bacon with clean ingredients can be purchased at your local health food store, but if you are looking for Paleo and Whole30 compliant bacon, I recommend either U.S. Wellness Meats (an online retailer) or Wellshire Farms (available at Whole Foods). You can choose whichever mayo you like for this recipe, but if you want to keep it Paleo, try Chosen Foods Avocado Oil Mayo. Need egg-free mayo due to an egg allergy? I love Just Mayo by Hampton Creek. Whole30? 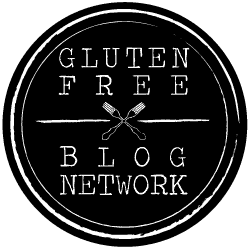 Primal Kitchen Mayo is the only one I’ve come across that’s Whole30 compliant, or you could make your own. You can use any type of unsweetened and unflavored non-dairy milk in this recipe (or regular milk, if you don’t need this dish to be dairy-free), but I used unsweetened, plain coconut milk from a carton. I’m sure cashew milk or rice milk would be good, too. Just be sure you choose one with ingredients that adhere to your diet, if you’re following one (i.e. Paleo, Whole30). 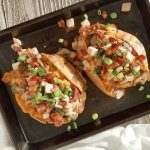 Check out the video below to see how to make these Cajun Turkey Stuffed Sweet Potatoes, and then keep scrolling down for the recipe. 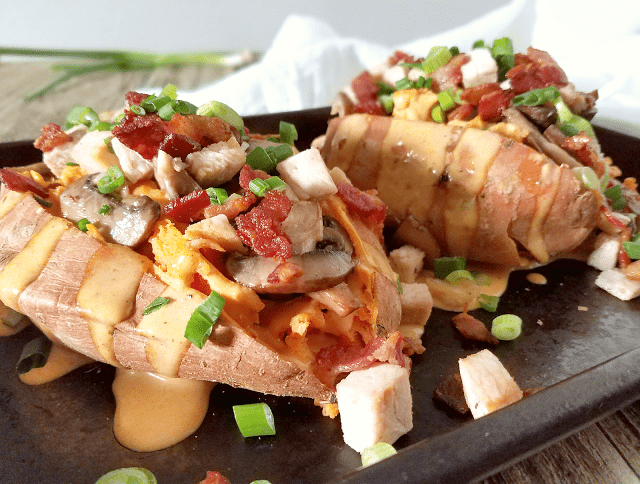 Layers of flavor make these Turkey Stuffed Cajun Sweet Potatoes crazy delicious, yet they're nutritious, gluten-free, grain-free, dairy-free and easily made Paleo and Whole30 compliant. They also come together in just 30 minutes, making them an easy way to use your leftover turkey! Chop the bacon crosswise into half inch pieces. Add to the hot skillet and cook, stirring occasionally (about 10 minutes). While the bacon is cooking, slice the mushrooms and chop the turkey. When the bacon is browned, remove it from the pan using a slotted spoon. Set aside. Add the sliced mushrooms to the pan with the bacon grease. Sautee the mushrooms until they are softened (about 10 minutes). Remove from the pan using a slotted spoon and set aside. Add the chopped turkey to the hot pan and remaining bacon grease and cook until the turkey is warm and has a little color (about 5 minutes). Remove from pan and set aside. Cut the cooked sweet potatoes down the middle and fluff the inside with a fork. 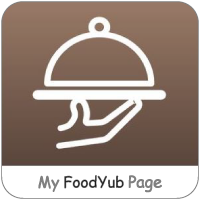 Top with your desired amount of sauce, mushrooms, turkey, bacon and scallions. I could bathe in this Cajun cream sauce and I like my sweet potato stuffed full of toppings, so I split everything in two and fill them up. It's delicious! I hope you find this recipe to be an enjoyable, easy and creative way to use your leftover turkey. Please let me know what you think in the comments below! What a great way to repurpose some leftover Thanksgiving turkey! Yum, the mayo!! I’ve never tried stuffed sweet potatoes before. These sound delicious! This is a great day after thanksgiving lunch! Thanks for the great minimal prep idea! This is a great idea for Thanksgiving leftovers! I love that it’s stuffed in sweet potatoes. Ooooh, I love sweet potatoes stuffed with all the good things — your cajun take looks amazing! These look so healthy, filling and a great way to use up any leftovers! Love that bacon on top! I love this! Such a brilliant way to use up Thanksgiving leftovers and looks so delicious. I love cajun flavored dishes! It’s packed with tons of flavor and healthy delicious! What delicious flavours + perfect way to have a festive ‘day after’! Love it all but that sauce is so interesting .. and before the rest of the ingredients, is a great idea. This sounds so filling and delicious. I’d love this any day of the week! I think this is the best use of leftover turkey I’ve seen yet! It’s light, but not salad (not a turkey salad lover here), full of veggies, but not salad (LOL), and bacon. I’m sold! Love cajun meat. And this recipe is something I’m definitely interested in trying! Looks great. I love this idea for leftover turkey! Great recipe. Yessss!!! 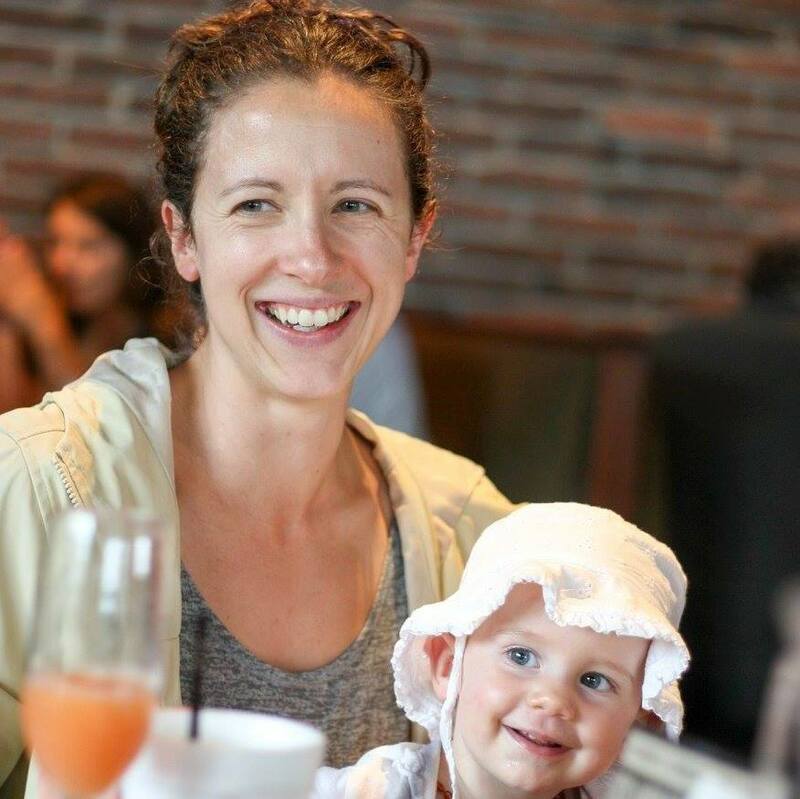 This is so hearty and I love that it’s Whole30 too! !